I’m all for history and archeology – but what about modern Istanbul’s desperate need for better public transport? Restoration work on Istanbul’s Haydarpaşa train station at Kadıköy has unearthed the remains of what is believed to be a coastal town with findings so far dating from the late Roman, Byzantine and Ottoman periods. The station was opened in 1909 with German support to link Istanbul to Baghdad. In those days a little history wasn’t allowed to stand in the way of progress. Today, a small army of 50 archaeologists armed with teaspoons and paintbrushes are picking over the site, keen to hold up progress on the much needed and long-delayed rail link for months, if not years. What’s left of Bıukoleon Palace. Well, it’s 1,600 years old, for God’s sake! Restoration work is beginning on the remains of the ancient Byzantine Boukoleon Palace, located on the shore of the Marmara Sea near the popular tourist sites of Sultanahmet Mosque, Hagia Sofia and Topkapı Museums. The palace, with its own private harbour, was built by the Roman Emperor Theodosius in the 5th century and extended in the 9th century by another emperor, Theophilus. It has long lain in ruins, and much of what remained was demolished in the late 19th century for the Orient Express railway line, and later, in 1959 when a road was constructed along the sea coast. 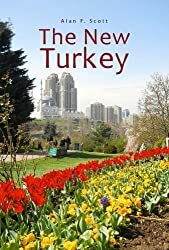 These days, of course, more value is given to such relics of history, and the government of Turkey is planning an open-air museum with an extensive park and overhead walkways to make the ruins more accessible and attractive to visitors. A big question, of course, is – Who pays for all this? A thermal spa located in the central Anatolian town of Yozgat is being opened to visitors who will be able to immerse themselves in healing waters once employed in the treatment of members of Roman royal families. One might be tempted to criticise the commercial exploitation of such a priceless relic of an ancient civilisation – but again, who is going to pay for their restoration and upkeep? Archaeologists working at Kurul Castle in the Black Sea province of Ordu have found more ancient statues in excellent condition. A 2,100-year-old statue of Kybele found there in 2016 was hailed as one of Turkey’s most important recent archaeological finds. Tombstones dating back to the 12th century have been found in a wall in the grounds of Şair Nefi Middle School in the province of Erzurum. If you want to make a contribution to the preservation of these sites, I’m sure Turkey’s Ministry of Culture and Tourism would love to hear from you.